The state Senate approved $5 million Monday to support nonprofit organizations helping asylum-seeking families released by Immigration and Customs Enforcement on the streets of San Diego. “The federal government has abandoned its responsibility to provide basic assistance to vulnerable families who are in our country legally and have been approved for asylum proceedings — instead dumping them on the streets of San Diego with nowhere to turn for help,” said Senate President pro Tempore Toni Atkins. 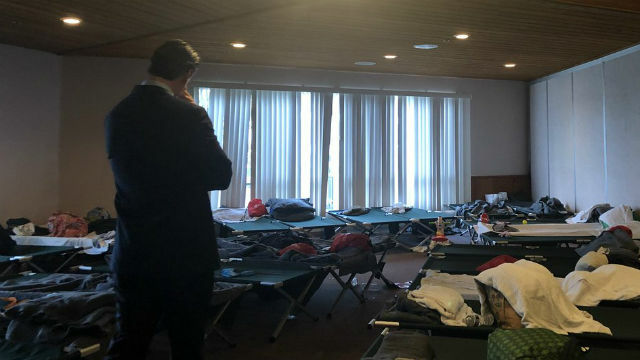 The San Diego Rapid Response Network, which includes Jewish Family Service of San Diego, Catholic Charities, the ACLU and other organizations, has provided thousands of migrants with shelter, medical screenings, meals, legal aid and travel assistance since November. The funding, included in the omnibus Assembly Bill 72, was proposed as part of Gov. Gavin Newsom’s draft budget for the 2019-20 fiscal year, which includes an additional $20 million spread over the next three years for immigration or human-trafficking emergency situations when federal funding is not available. San Diego County supervisors recently voted to aid the effort by leasing a former family court building in downtown San Diego for use as a migrant shelter.